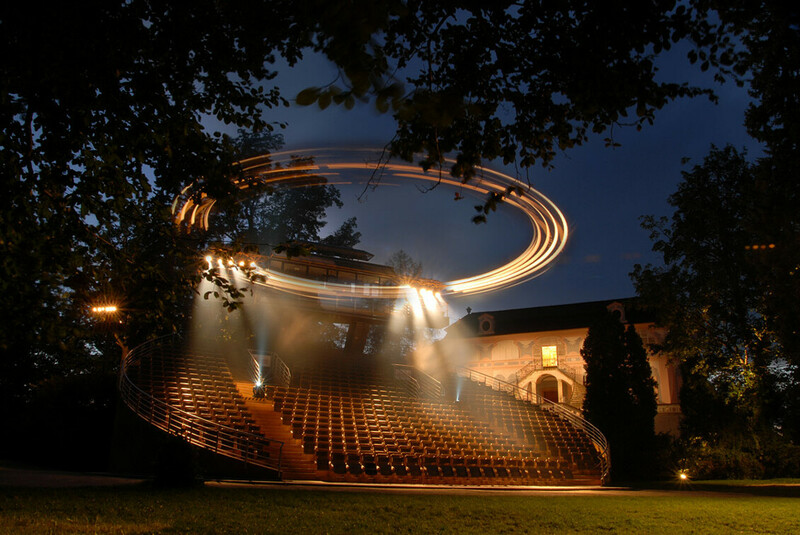 The Minister of Culture’s Commission for the Revolving Theatre and Revitalization of Castlw Gardens accepted the proposal from the Minister of Culture Antonín Staněk and recommended that the theatre remained in the Baroque garden of the castle. “I am very happy that we agreed with the commission on the future of the unique revolving theatre. This will be the basis for the competition concerning the architectonic design and facilities,” said Antonín Staněk, the Minister of Culture. The revolving theatre was built in the late 1950s; the first big reconstruction took place in 1960 which brought the increase in capacity to 550 seats and human power was substituted by electric engines. The current design of the theatre was made during the reconstruction in 1989-1993, which again increased the capacity to 644 seats. The revolving theatre has seen more than 2 million viewers.